Toppie and guests DJ and Billy Starsage discuss some of the silly conceits that run through the Star Trek universes, on TV and the movies. ROAD TRIP! Toppie joins D.J. Starsage, Billy, Jay the Haunt Cub and the Ever-Mysterious Crone Haven at Baltimore’s long running science fiction convention: FARPOINT! Find the Faraway Nearby Podcast HERE. Toppie sporting gifts from the Ever Mysterious Crone Haven. D.J. and Billys’ fabulous gift bag for Toppie! Sassy McSass-Sass concludes his revealing tale of love and zombies! As the zombies close in on Wetzle’s field, Jock Mastercock and Toppie Smellies’ relationship begins to crumble. Suddenly bereft of new ideas for the Smellcast, Toppie is persuaded by Aunt Tappie to take up his old trumpet and jump-start a childhood hobby, with disastrous results! Write to Toppie at Smellcast@aol.com. Leave a comment on Toppie’s blog theSmellcast.com. Friend Toppie on Facebook and follow him on Twitter and Google+. Look at kooky stuff on smellcast.tumblr.com Friend Toppie on Facebook by emailing him YOUR FB name and link, then Toppie will find YOU and friend you! Our final Halloween thrill: Join Toppie and the gang LIVE from a dark cabin in the woods for a Halloween party extravaganza featuring YOUR spooky sturries! Write to Toppie at Smellcast@aol.com. Leave a comment right here on Toppie’s blog. Follow him on Twitter and Google+. Look at kooky stuff on smellcast.tumblr.com. Friend Toppie on FB by emailing him YOUR FB name and link, then Toppie will find YOU and friend you! NO HYPE! NOT HYPERBOLE! In what is perhaps the greatest assembled moments from the 2014 season of the Smellcast, we present the most FUN-TASTIC clip show ever edited into existence!!!!! From all of us at the Smellcast to you… HAPPY NEW YEAR! Friends gather to celebrate Thanksgiving Day in Pickle Hallow, but gratitude seems to be the last thing on anybody’s mind. At long last, the Smellcast finally launches the first of a three-part story that will resolve Walter Snicker-Snicker’s long and mysterious disapearance. 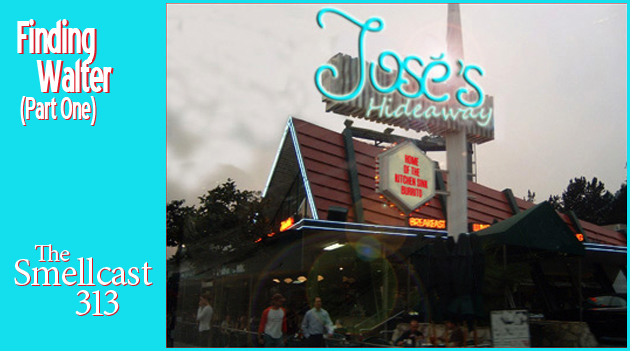 In this episode, as Toppie’s thoughts return to his long lost friend, the whole Smellcast gang is at Jose’s Hideaway giving it a good cleaning. To Toppie’s surprise, among the volunteers is his new next door neighbor, Dallas Cody! And at the top of the show that is indeed the Little Aussie Battler calling in to the Smellcast. LEFT click HERE to LISTEN to episode 313 on your computer NOW. RIGHT click HERE to Direct Download episode 313. First, Toppie talks about his own personal Chrima with his family, and then he goes on to describe more Chrima cards and gifts from Smellcast listeners. 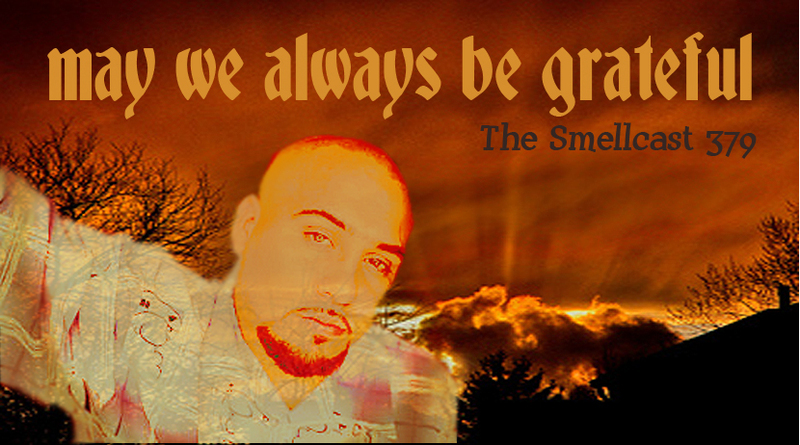 Later, the whole Smellcast gang arrives just in time to review some of the most exciting and meaningful moments on the Smellcast from 2012, wherein Toppie plays clips from some of the most stupendous episodes of the past year. LEFT click HERE to LISTEN to episode 301 on your computer NOW. RIGHT click HERE to Direct Download episode 301. Celebrate Chrimma with Toppie and the whole gang in this retro Christmas special. Merry Christmas everyone! LEFT click HERE to LISTEN to episode 300 on your computer NOW. RIGHT click HERE to Direct Download episode 300.